I wish I could give this school 10 stars. 2 children and 4 years at this school (2 more to go) and the only thing I wish were different is that it went through high school! If you could imagine a perfect place to foster inquisitive learning- with the most caring compassionate educators- where character is built, leadership is born, and confidence flourishes- than you have Dublin Montessori. We believe this has been the best decision we have made for our childrens' lives thus far. We drive 30 minutes each way 3 times daily we feel so strongly about it. Our oldest began reading at barely age 4- doing multiplication and division at that age as well. The best part is, it was through experiences not textbooks. Learning is taught to be fun and as part of your daily life here, which sets it apart. My children have been introduced to loving to learn and continuing to challenge themselves, which the rest of their lives will be built upon. THANK YOU Dublin Montessori!! My daughter is in her first year at Dublin Montessori. I can not say enough good things about our experience so far. My daughter LOVES her classroom and her teachers. They are warm and patient yet have high expectations for the students. She comes home every day happy and I believe is developing a love for learning. The Montessori program is great. She is learning independence and able to learn at her own pace. I highly recommend this preschool/kindergarten program. It is nothing short of a top notch school. I can't say enough good about this school. We transferred in after having a negative experience at another Montessori school. Due to the carefully run, nurturing environment, my child has thrived here and comes home happy every day. The benefits of a Montessori education are many, but they can only happen in a properly run school, which this is. In fact, they have set the bar so high, I wonder how we can find a place with this level of care and quality when it's time to leave. What sets this school apart from others I've seen is the way every detail of the schedule, daily and yearly, has been fine-tumed to help the children feel safe and to keep them safe. There is very little opportunity for bad things to happen or for children to feel stressed, from the gradual school-year entry (much more extended than others), to transitions within the day, to drop off and pick up. This place is calm, organized and full of happily busy children. There is none of the chaos I've seen at other institutions, and yet, everything is managed with a very gentle hand. Parents are welcomed anytime to come unannounced and can see through large observation widows everything that's happening. Special place. We LOVE this school. It has been a wonderful experience for both myself and my daughter. She has attended 2 years of preschool and now starting a full day of kindergarten. I love the windows into each classroom so that I may observe not only my child when ever I please. All of the teachers are kind and respectful of the students. The classrooms are clean or organized. The children not only learn academia but also respect and consideration for others. My boys both attended Dublin Montessori Academy for both preschool and kindergarten. They are now in Dublin public schools and are both doing exceptionally well. They have both been identified as gifted, both are straight "A" students, who are also involved in theater, sports and a host of other activities. I attribute much of this to the phenomenal start they had at Dublin Montessori Academy. Ms. Roshon runs that school on a whisper, with love, care, order and high expectations. My children are curious, active and self-motivated learners thanks to the wonderful early-education experience they received. I cannot recommend this school highly enough. It will be a difficult transition to traditional school though, only because your children will be way ahead of many of their classmates and gifted programs in Dublin don't start to kick in until 4th grade. Just plan to supplement their learning at home. My son has attended Dublin Montessori for 4yrs. He is in his formal kindergarten year and we are trying to savor every moment of this final year. I agree 100% with the prior review ... this school is a gem! It has been an outstanding learning and positive social environment for our son. The teachers are focused, kind and present with the children. The administrator runs a professional, highly organized and child-centered environment at all times ... putting the needs of the young people first as it should be in these early days. I feel so fortunate to have found this school. I have sent 3 of my children to DMA. The directors enthusiasm for the Montessori Method and love of the students fuels the school. The teachers are dedicated to providing a child-centric education. The school is a full AMS member and it shows. 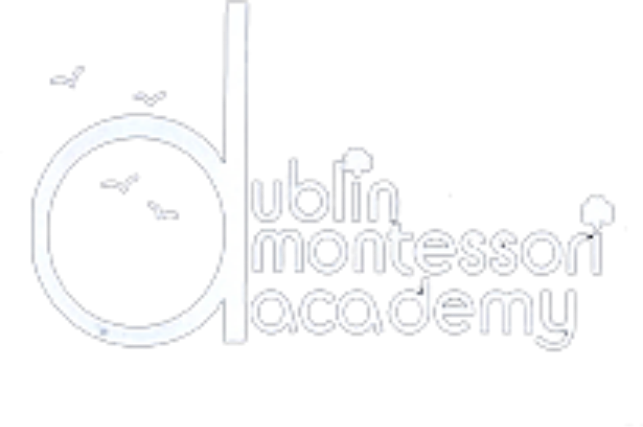 The most difficult part about having a child at the school, is knowing that when they graduate it will be very difficult to find anything as good as Dublin Montessori Academy.